Children may have school dinners, bring sandwiches or go home for lunch, (or a combination of these). School dinners are freshly prepared and cooked on the premises in our own ‘Birches Bites’ kitchen, with a good choice of menu available each week. Dinners and sandwiches are eaten in the school hall and supervised by experienced lunchtime assistants. Children are encouraged to show good table manners and use a knife and fork for school dinners. Lunch boxes should include a plastic cup for drinking water or milk, (no other drinks are allowed). All dinner money payments are administered through ParentPay secure online facility for children in KS2 (Year 3 and Year 4). This is very convenient and easy to use. The cost of a school meal is £2.20, (£11.00 per week). 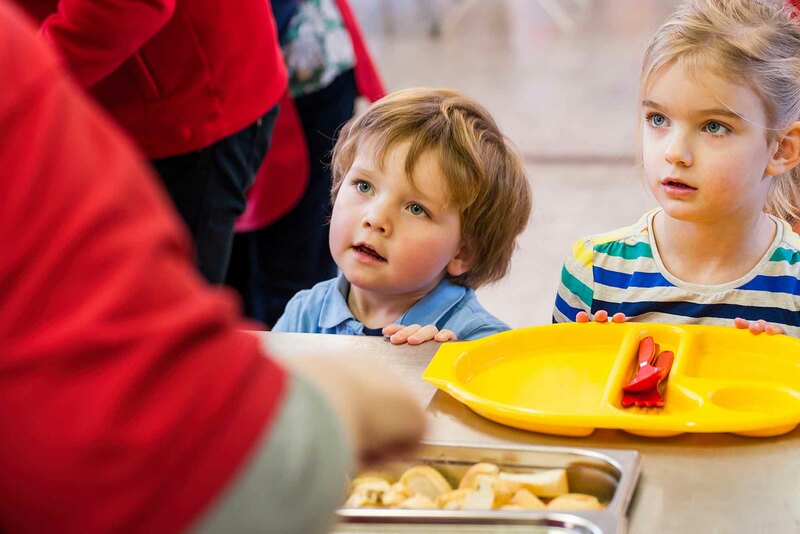 Children in Reception and KS1 (Year 1 and Year 2) are entitled to Universal Free School Meals. Children in KS! receive a piece of fresh fruit as a mid-morning snack, Children in KS2 bring in fruit from home and everyone is encouraged to drink plenty of water throughout the day. Birthday and holiday sweets are not allowed.